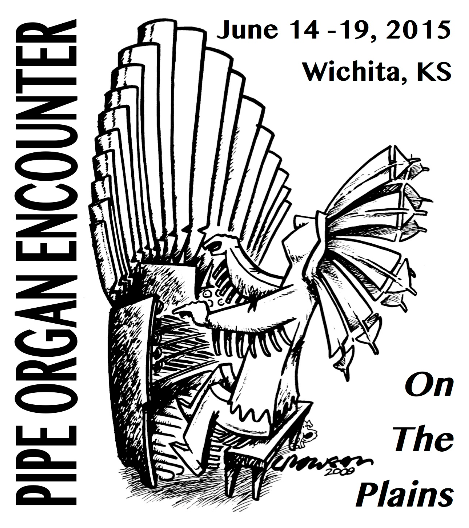 The Wichita Pipe Organ Encounter is only two weeks away! The committee has worked countless hours to make all of the arrangements for a smooth running and successful event. The schedule is included in this newsletter, and we hope you will take advantage of the many interesting concerts and programs throughout the week. AGO members are welcome to observe during the daytime activities, and the public is welcome at most concerts (except Tuesday night which is for POE students, faculty and staff only). Please share the poster of events with everyone you think might be interested. E-mail the poster to friends, hang them in your churches, share the excitement with others! Could you help in one or more of these ways? Our chapter is one of only four throughout the United States who are hosting Pipe Organ Encounters this summer. THIS IS A BIG DEAL! Let’s show our hospitality and support to these students and guest faculty members by attending as many events as possible.